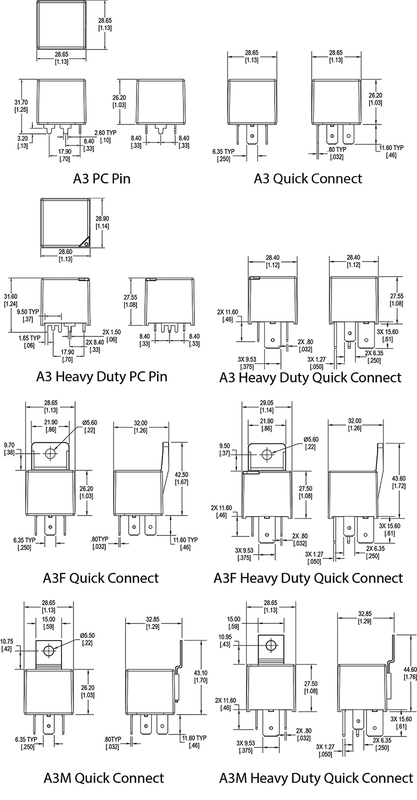 Large switching capacity up to 80A with PC pin or quick connect mounting, the A3 Series is QS-9000 and ISO-9002 certified. 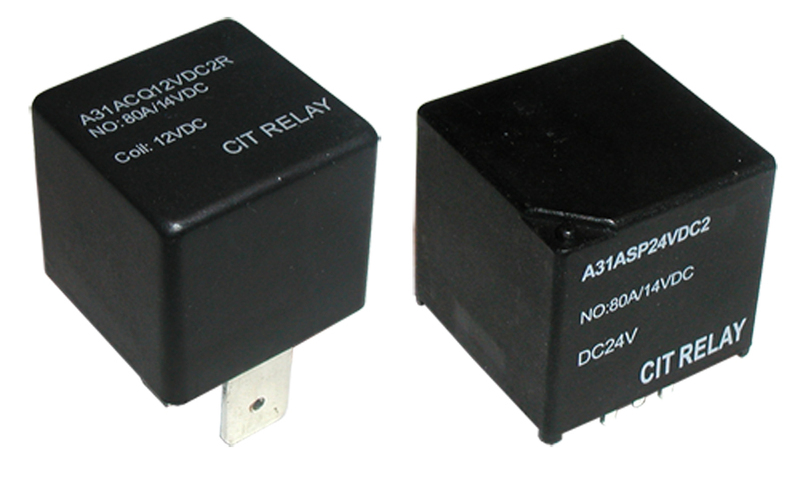 Offering both standard and heavy duty contact ratings , the A3 Series is available as 1A, 1B, 1C or 1U. Coil voltage choices are 12VDC or 24VDC, with coil power of 1.8W. Dimensions are 28.5 x 28.5 x 26.5mm.